Researchers from the Shanghai Institute of Ceramics in China and the University of Pennsylvania in the USA have devised a new method of making supercapacitors which can store three times more energy than the best current technology in use. Importantly the supercapacitor's ability to quickly charge and discharge are not affected by the greater energy storage capacity offered. As the IEEE Spectrum website explains, supercapacitors can capture and release energy much more quickly than batteries, but they can usually store much less energy. The current best supercapacitors use carbon-based electrodes but the scientists at SIC have created graphene-like carbon in porous tubes 4 to 6 nanometers wide for use in their electrodes. The carbon was then doped with nitrogen to help chemical reactions occur without affecting electrical conductivity. Fuqiang Huang, a material chemist at SIC, claimed the advance "is as if we have broken the sound barrier" adding that "we are able to make carbon a much better supercapacitor". 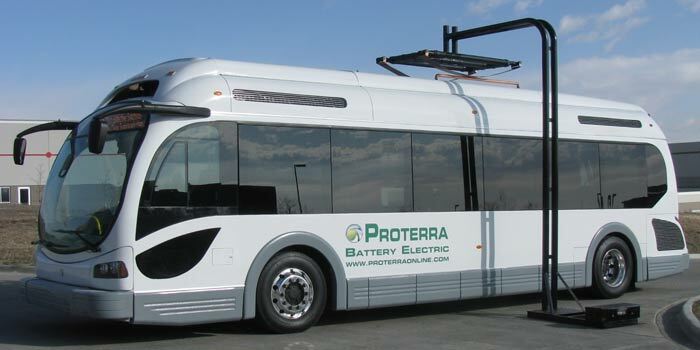 The discovery could have a big impact on transportation, for example, as there are already electric busses that use capacitors for short round-trip journeys, such as those used in airports. Looking more closely at the airport bus example, currently such a vehicle can make 5km trips and be recharged in 30 seconds, ready to go again. The new supercapacitor technology could expand the bus range to 25Km, say the scientists behind the research. Furthermore the nitrogen doped supercapacitor would still be able to charge at the same incredibly fast rate. Lithium ion batteries still hold the crown for energy storage, storing 70 to 250 watt-hours per kilogram. However the nitrogen doped supercapacitor is better for power output, being able to crank out 26 kilowatts per kilogram compared to the Li-ion battery maximum of about 1 kilowatt per kilogram. Research will now take the direction of refining the capabilities of the supercapacitor and creating a scalable and inexpensive process to manufacture the new nitrogen doped supercapacitors. Lithium ion batteries still hold the crown for energy storage, storing 70 to 250 watt-hours per kilogram. What's missing is the supercapacitor's storage figure. It was in the “5km trip” paragraph, which was only partially mined. Their devices could store 41 watt-hours per kilogram, comparable to lead-acid batteries. Still doesn't sound like it would be suitable for busses in all climates and terrain. I wonder whether they would be suitable for powering a bus, in winter, up several steep hills, all while powering heaters on both decks of the bus to stop the passengers freezing. Sinclair C5? I think this would be perfect for an electric dragster!